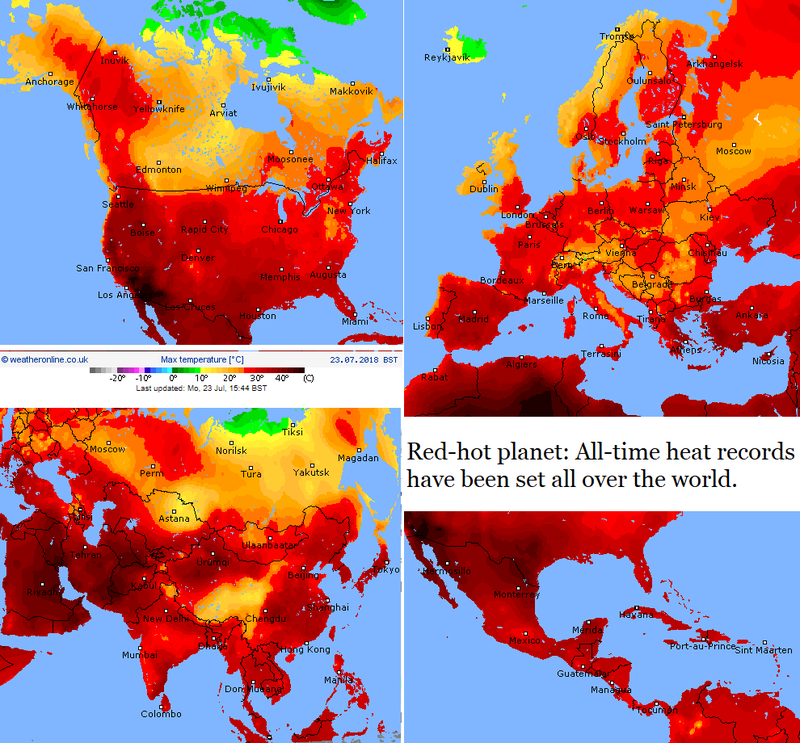 UK WEATHER's blowtorch temperatures could soon have Britain break several weather records as a new wave of scorching heat engulfs the country until the end of the month. I added a quote to the beginning, so if you are looking at comments, but already read the post, go back and look again. Sorry for the inconvenience. Dangerous heat will threaten millions of people across Europe this week with no lasting relief in sight. A hot July across much of western Europe will climb to another level this week as a heat wave builds from Spain to Scandinavia. It's frightening. Most people cannot and do not want to see the Hand of H' in what is happening on a global scale. We, who believe and have yirat Shamayin actually know that these are signs and warnings from H', but even many observant Jews do not want to see what is so obvious. The typical person thinks this is due to global warming because it's man made because 'science' is the new religion worldwide. Woe unto man who does not want to see truth. ...the Arctic Circle, where an unprecedented heat wave has sent temperatures in the far north of Sweden as high as 86 F. The Washington Post’s climate writer, Jason Samenow, recently reported that the temperature (calculated by extrapolation) in a part of northern Siberia reached 90 degrees earlier this month, 40 degrees above normal. “It is absolutely incredible and really one of the most intense heat events I’ve ever seen for so far north,” wrote meteorologist Nick Humphrey. And after years of increasingly hot, dry summers, the great forests in the far north, all around the globe, are starting to burn.